We're still getting ready here at the Porter Mill for the "Sillage" reception this Thursday February 4th 6pm - 8pm but we've got something else special planned this February in the gallery as well. 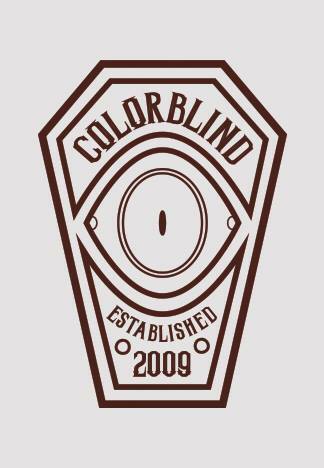 Coming this February 11th we have the artist collective The Collab hanging their first show "COLORBLIND". This exciting new show highlights the artwork of the illustration group along as acting as a launch party for their publication. Colorblind; a bi-annual art zine— the first publication of many. Witness the beginning of a documented collection of beautiful and grungy Illustration and Photography. Featuring the talented works of Haig Demarjian, Adam Miller, Peter Bergamo, Will Pottorff, Rory Bastille, Val Toukatly, and Krista Perry. 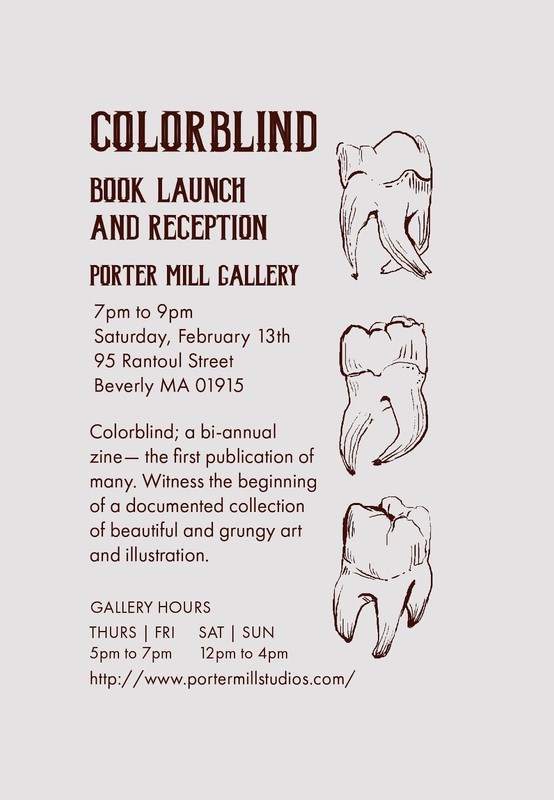 The opening reception will be held on Saturday February 13th from 7pm to 9pm with wine and hor d'oeuvres being provided free for attendants, along with live music being performed by local musician Mean Teeth. An exciting show with great art, great music, at one great local gallery. Come on down to the Mill!